And that game is Sky Kid. 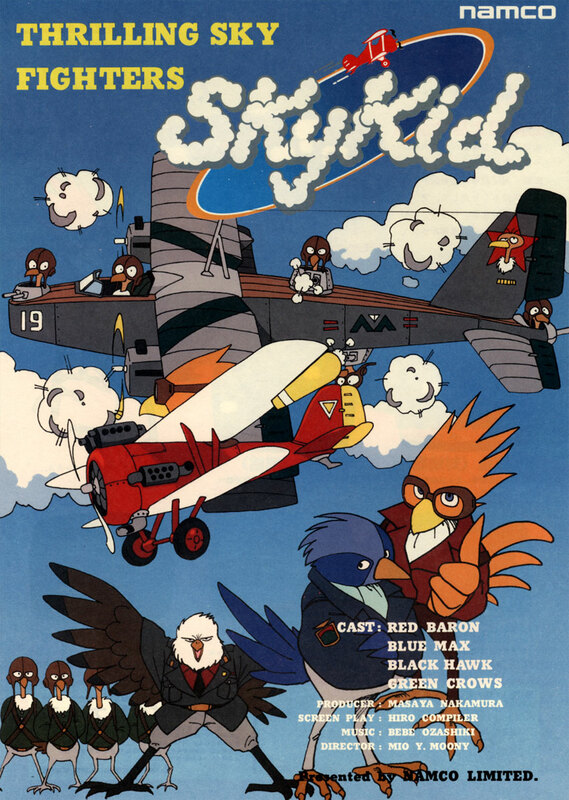 Sky Kid is brought to us be Namco and was released in 1985. 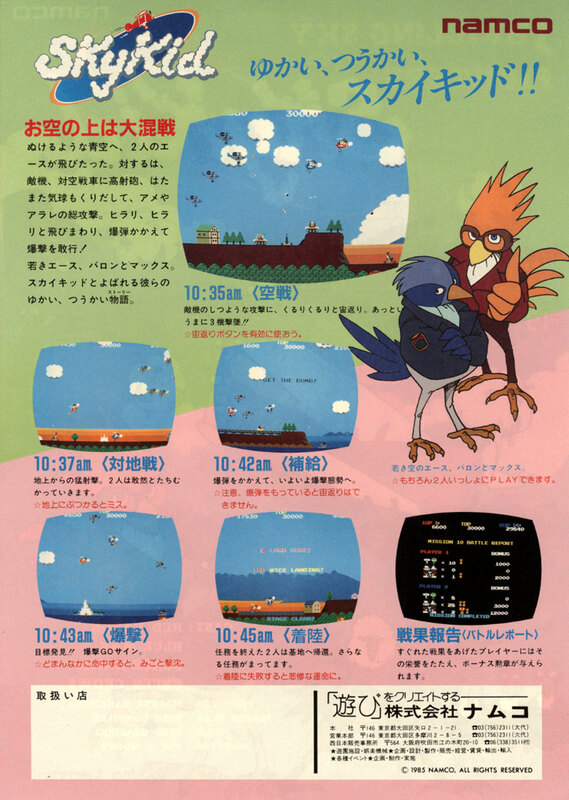 The game is a side scrolling shooter. You play as a piolt of a bi-plane, who is sent out on missions usual to destroy an enemy base or an enemy war ship but these targets are not so easy to destory. The only way to destroy your targets are with bombs but you are not carrying any. You much fight your way through enemy planes, ships and tanks of varying types to find a bomb. After you have the bomb you need to hold on to it until you get to your target. To help you deal with your enemies, your plane is equiped with a mechine guns. You are also able to flip your plane to dodge enemy attacks and planes. Getting hit by enemy fire or the enemy themselves sends you into a swan dive which you are able to recover from if you are fast enough. There are 21 missions in total for Sky Kid. After missions 4 you will find there is more then one target on the mission. You can also find secrets dotted about some levels which can reveal other Namco game characters, Inky from Pac-Man, Pooka from Dig Dug and Special Flag from Rally-X just to name a few.